But golden moles are blind. 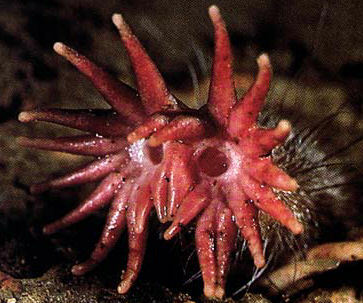 They live underground, navigating mostly by ear and touch, and their eyes are entirely covered with skin. So their shininess is not to impress each other, as iridescent colors are in other animals such as birds; and it probably isn’t for camouflage, since they do not live in Magic Sparkle Land. In fact, scientists currently think that the golden moles’ iridescence isn’t “for” anything, but that it is simply a by-product of the moles’ environment. These animals live in dirt or sand, moving through those substrates to get to food. Smooth, flat hairs may allow them to slip more easily through the dirt and sand. 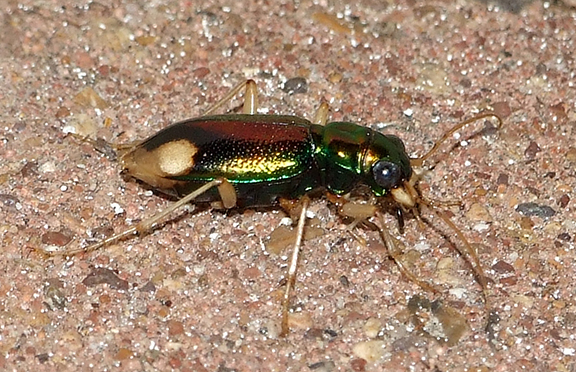 These hairs, flattened and with “a broad and smooth surface,” also happen to be exactly the right shape to reflect light back through thin-film interference, creating that iridescent shine in a mechanism similar to that of shiny beetles (Snyder et al. 2012). Just like a golden mole. 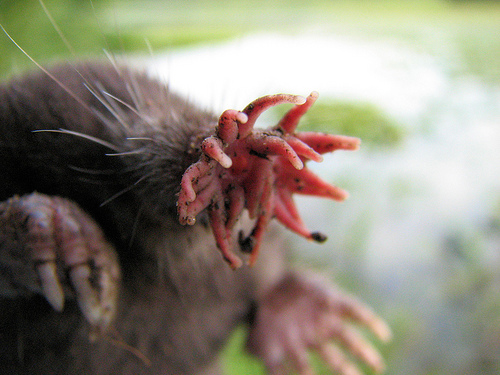 When the internet hosts polls asking people to identify The Ugliest Animal In The World, the star-nosed mole wins. I’m still not sure why. It’s little and round and fuzzy, with whiskers! What’s not to like? 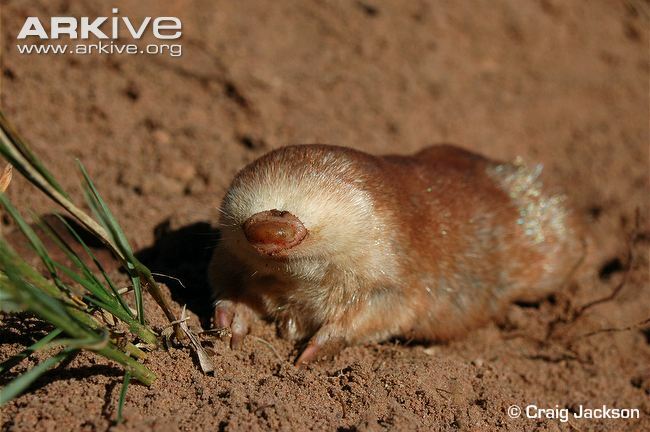 Sure, the eyes are kind of small and beady, but that’s just because the mole doesn’t need them: it lives underground, navigating by touch. The claws are big and scaly, but they’re powerful functional tools—how could that be ugly? Is it really all about the nose? Count me baffled. That strange-looking nose is an incredible sensory organ: it touches and tastes the mole’s surroundings, allowing it to navigate and find prey in the absolute darkness of soil. And it works fast: for the mole to sense a yummy bug, it has to touch it with its nose, meaning the bug gets a warning that it’s in danger. (Those finger-like appendages on the nose can’t actually grab things.) So if the mole is going to eat, it has to touch, notice, and catch the bug before the bug has a chance to escape—and as soon as the bug isn’t actually touching the mole’s nose, it’s essentially hidden from the mole, until the mole manages to touch it again. 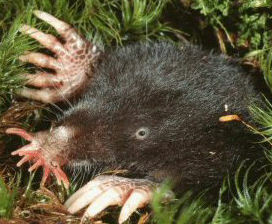 Imagine trying to catch fish in your bare hands with your eyes closed: that, more or less, is what the mole is doing. This video gives you a sense of how the mole wields its special nose, and just how quickly it can move. These moles go so fast that to get any sense of what they are doing, you have to view them in slow motion. Sometimes adapting to your environment makes you shine; sometimes it makes you The Ugliest Animal In The World. But neither of these animals are trying to impress or disgust us: they’re just well-suited to their own challenging, subterranean lifestyles. 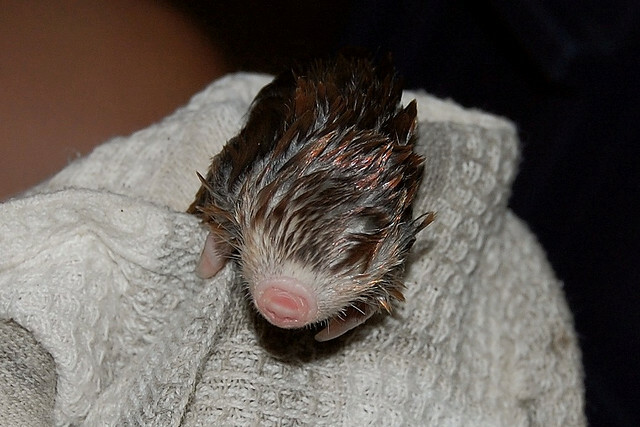 And even the Ugliest Animal In The World has cute babies. Snyder HK, Maia R, D’Alba L, Shultz AJ, Rowe KMC, Rowe KC, Shawkey MD. 2012. 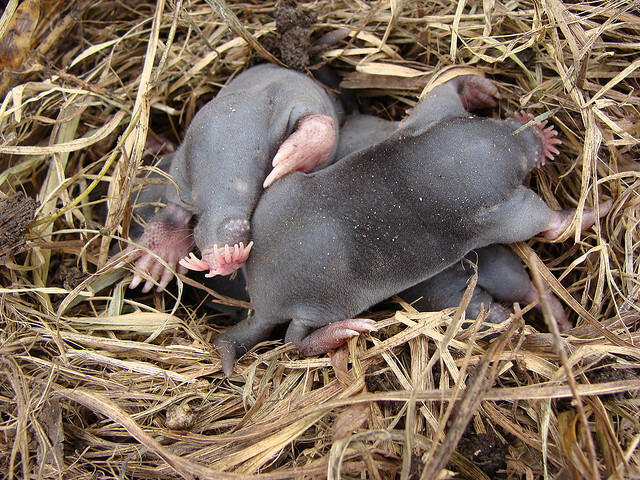 Iridescent colour production in hairs of blind golden moles (Chrysochloridae). Biology Letters 8:393-396. This entry was posted in general science-y stuff, other people's research, video and tagged animals, biology, color, mammals, mole, nature by toughlittlebirds. Bookmark the permalink.